The Pritchetts and Dunphys will say their goodbyes in the 11th season closing sometime in the spring of 2020. "Modern Family" fans, the end is nearish. ABC on Tuesday secured an 11th and final season for its long-running hit, which means we'll finally be saying goodbye to the Pritchetts and Dunphys sometime in the spring of 2020. This extension was a surprise to no one, other than those who actually believed the executive producers, who around this time last year said the 10th would likely be the last. 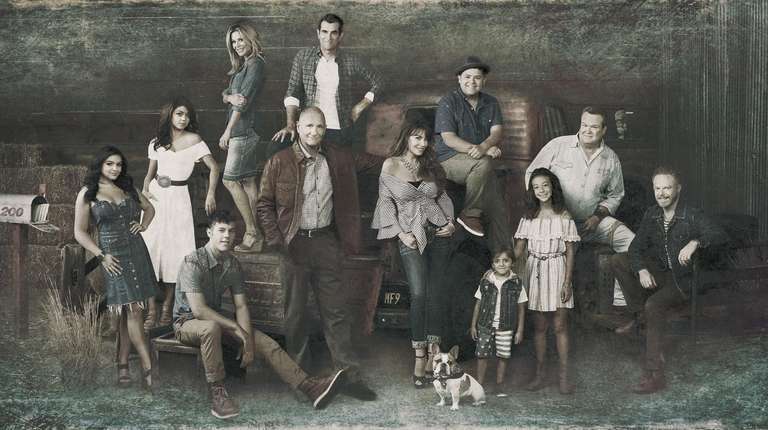 "Modern Family" may no longer be an Emmy or cultural infatuation but plenty of viewers still care (nearly 6 million on average per episode on season 9). "Modern Family" arrived Sept. 22, 2009 and instantly became a critical and audience smash — and also notably featured primetime's best-known married gay couple, Mitch (Jesse Tyler Ferguson) and Cam (Eric Stonestreet). It has received more than 80 Primetime Emmy nominations and 22 wins, including outstanding comedy from 2010 through 2014. Among the leads, Ty Burrell, Julie Bowen and Stonestreet are two-time winners each. ABC did not say how many episodes will air in the final 2019-20 season, although Deadline.com reported that as many as 22 were expected. If so, that means "Family" will end at 254 episodes, making it one of the longest-running sitcoms in U.S. TV history.